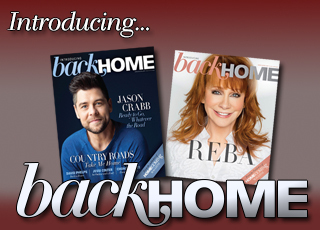 In a recent Facebook post, BackHome Magazine columnist Squire Rushnell shared a beautiful true story about two stranded ladies who received a blessing from where they least expected it. This and other uplifting true stories can be found in Squire's book, Godwink Stories—A Devotional. My best girlfriend and I took a weekend trip to Philadelphia. I was flat broke, but Pam said, "Don’t worry about it, I don’t have much money, but I'll pay for gas, food and hotel." We checked into the hotel, Pam gave them her credit card, and we headed out for a Philly cheesesteak sandwich. While getting our food, Pam set her pocketbook on the counter and turned around to get some napkins. When we sat down to eat, a panicked look came over Pam’s face. She realized her wallet was missing from her pocketbook. Frantic, we searched all around the restaurant, but the wallet was gone. We now had NO MONEY, NO CREDIT CARDS, and no way back to Pittsburgh since the car gas gauge had been on empty when we parked it at the hotel. Walking down the street, we continued to search for the wallet, and finally found it in a trash can. All the cash and credit cards were gone. We felt defeated, but at least grateful that Pam had gotten her ID back. We concluded that we had no choice but to leave the next morning. The next day, we pulled the car into a gas station, passed a dirty homeless man, and began rummaging through our purses for loose change in hopes of finding enough to get us home. We scoured the car. We looked under seat cushions and floor mats, cheering each time we found a quarter. Our mood actually turned jovial as we kept saying, "God will handle this. We'll be fine." As we dug for more change, we noticed that the homeless man was watching us curiously. We smiled, waved hello, and kept on about our business. Several minutes later, the homeless man walked up to the car and asked what we were doing. Laughing and shaking our heads at the mess we were in, we quickly explained the situation. ‘You girls shouldn't be in this part of town,’ said the man. 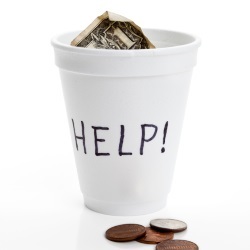 HE THEN HANDED US HIS PAPER CUP FULL OF CHANGE—the money he'd begged for all morning long. Over his shoulder, as he walked away, the man had a final piece of advice: "Get home safe." We were astounded … and very grateful … that God had sent us this unlikely angel. Many others, well dressed, with fancy cars, came and went that morning at the gas station, but none had offered to help. It was the filthy man in rags who delivered God's love to us. The money he gave us bought just enough gas to get us home. Safely. 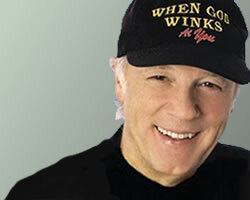 Squire Rushnell, the "Godwink Guy," is the bestselling author of many books including Divine Alignment and the When God Winks series. His latest book, co-authored with his wife Louise DuArt, is The 40-Day Prayer Challenge.